Hide deals from seller "The Country Store & Catering"
Hide deals from category "Butchers & Meat Shops"
Limit 1 per customer and 1 per transaction. Valid on 2 pork chop dinners. Drinks not included. Promotional value expires 60 days after purchase. Pig out with a pal when you use this deal for 50% off two pork chop dinners at The Country Store & Catering in Sycamore ($14 value). These delicious meals come complete with their famous seasoned butterfly pork chops, country-style baked beans, steakhouse potato salad, applesauce and rolls. 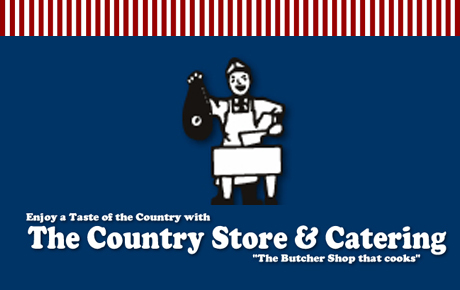 The Country Shop & Catering offers locals a butcher shop, deli, restaurant and catering service. Owner Tom has more than 30 years of experience as a butcher, and he takes pride in serving only fresh, high-quality products. They use only USDA Choice meats so you get the freshest and most flavorful meals. Stop by "the butcher shop that cooks" for a delicious meal with this deal. Butcher shop in Sycamore also featuring a deli, sandwich shop and catering.